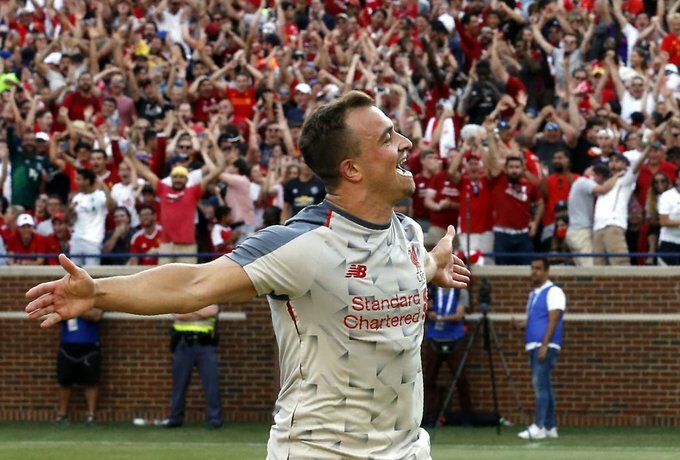 Xherdan Shaqiri ‘s performance in Liverpool ‘s 4-1 hammering of Manchester United in the International Champions Cup as “not normal”. The summer signing from Stoke City came off the bench and scored an overhead kick after Sheyi Ojo and Daniel Sturridge put the Reds ahead in Michigan. Klopp was especially impressed with how the Switzerland attacker has hit the ground running for his new club, having only linked up with his teammates on Wednesday after his post-World Cup break.